In an age of global warming and vicious competition from the large superpower ski resorts, many small ski areas are struggling to stay in business. But that didn't stop David Wilkie from achieving his big white dream; keen for a piece of the ski industry, the English entrepreneur bought a mountain in Slovakia, and built Košútka - his very own ski resort. This is his story. You've been deemed "the man who bought a mountain" by White Lines Magazine - how did the idea for building your own ski resort come about? 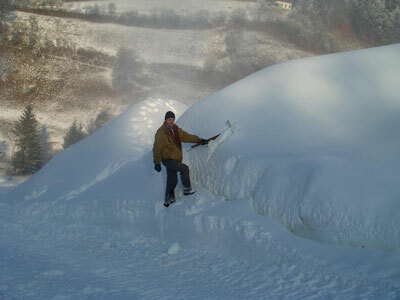 My girlfriend at the time was Slovakian and her brother showed me a mountain in the summer of 2003, that he had a visionary dream about turning into a ski resort. I offered to go into partnership with him and buy the mountain and fund the opening of our ski resort, which we opened on the 29th December 2007. Was it a difficult process to do this in Slovakia? Massively difficult, particularly with the land purchase, bearing in mind that the mountain belonged to more than 35 different owners, so tracking them down was a very complicated process; compliance, planning permission etc were a nightmare. Slovakia is only recently out of a protracted communist era and old habits die hard! How much input have you had in the design of the lift system and facilities? The lift system, buildings and snow system were designed by a professional Slovakian projectant with a lot of input from my Slovakian partner, Peter Suja. So what can we expect to see at the newly opened Košútka ski resort? A 1km new poma drag lift (changes direction twice), a 1km run with varied red and blue runs. The vertical drop is 250m and there is a brand new state of the art York snow making system with 16 shafts and 11 guns (we had snow at Košútka last week when the rest of Slovakia had none!). There's also full potential for a further four or five lifts in the future, and we have plans for snowboard park and more facilities too. Who is the ski area aimed at? Slovaks and Hungarians. 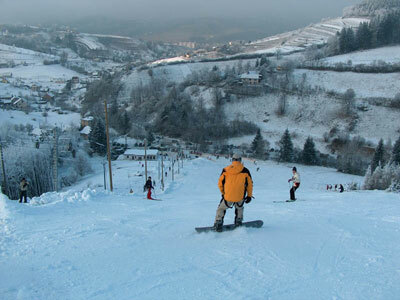 Košútka ski area is located very close to the Hungarian border and Hungary is flat country but they are mad for skiing, so we expect a lot of skiers and snowboarders to come over the border. In an age of global warming and rising snow lines are you concerned about the long term life span of your ski area? I am reliably informed that the snow is going eastwards! Also, temperature records taken on the mountain over the past four years have given good enough evidence that warming shouldn't be a problem. 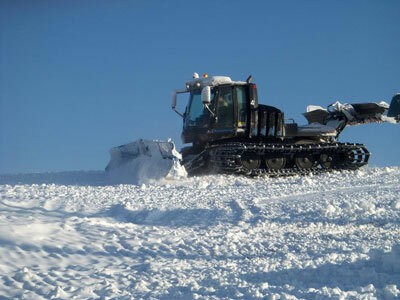 As mentioned before Košútka has a snow making system too. Are you planning to open Košútka in summer too? Yes, mountain biking and high rope courses in the trees and just two of the activities we plan to have in Košútka. Why Slovakia? 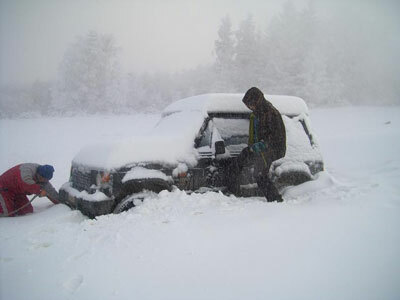 Did you ever consider opening your own ski resort in any other countries such as Russia, Ukraine or Poland? I chose Slovakia basically because of the girlfriend situation. I hadn't considered opening a resort in any of those other places, but I would do if the deal was right! Will Košútka have any terrain park features? A snowboard park is planned for the future, but there won't be anything this season, so freestyles will have to make their own fun. How have the locals reacted to the creation of the new ski area? Generally the reaction is very good. 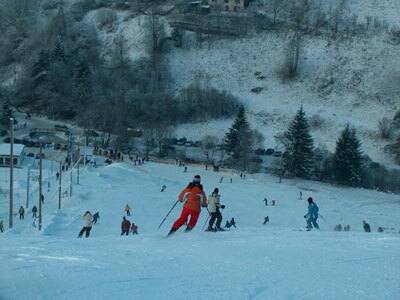 The Košútka ski resort will bring a lot of new business and employment to the town of Hrinova. How are you planning on marketing the ski resort? Through our very good website www.Kosutka.sk, forthcoming ski and snowboard competitions, (with Swiss pro riders), local bill boards, bus advertisments and generally good word of mouth! Where in the world have you skied/snowboarded? Mainly Europe and a couple of times in America. My second home is in Verbier, Switzerland. I am passionate about snowboarding and the Swiss Alps are endless! What kind of après ski action is there to be had around the resort? The only après ski action in Košútka for the foreseeable future will be in our restaurant / future hotel. It is early days and we intend to build throughout the season. 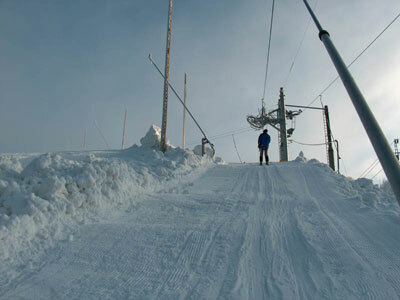 How can skiers and snowboarders get to Košútka? The nearest main airports are Bratislava (Slovakia) or Budapest (Hungary) both of which are two and a half hours away by car, all the cheap airlines fly to both airports. The audience we had originally intended to target was not from the rest of Europe, but if you are looking for a cheap, exciting ski or snowboarding trip, come on over! What does the future hold for Košútka ski area? We hope to grow and grow; more lifts, our own accommodation, hotel, a funky music bar half way down the main piste, a snowboard park, kindergarten/crèche and generally lots and lots of happy people. Buying a mountain and opening your own ski area is an inspiration to snow lovers around the world - are you living the dream? It's hard to say as it is very early days but I am sure that Peter and I will be living the dream during our first exciting season! Best of luck with your first season David, - I'm sure SnowSphere.com will be checking out Košútka at some point soon!